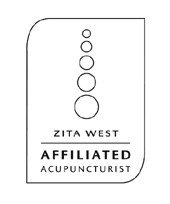 Acupuncture offers a holistic method of encouraging the body to promote its own natural healing and is a safe, painless alternative, and a very effective procedure for eliminating or relieving pain.Pain can interfere with your quality of life thusrestricting activity and long-term can cause you to become depressed. Acupuncture works by stimulating the body's natural healing and rapidly reduces pain and inflammation. It relaxes muscles; increases circulation to speed up recovery time and it maintains longer positive results and helps to prevent recurrence. Acupuncture also promotes physical and emotional well being and enhances endocrine and immune function.